Our South African visitors were Lynette Cowie, her daughters Isabelle, thirteen, Lillian, eleven, and her mother-in-law Joy Bouchier. Lynette, an image consultant – http://www.stylerevivalist.com — went vegan first, guided her husband and daughters along the path, and after she attended Main Street Vegan Academy, her mother took the plunge at age 68. (Lynette is @stylerevivalist on Instagram, too.) 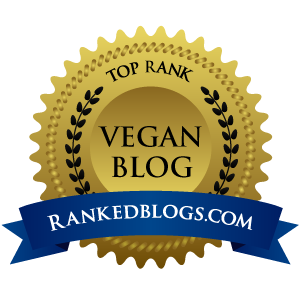 Daughter Isabelle’s very helpful and insightful blog is http://www.veganwhisperer.com, and she’s on Instagram @teenveganwhisperer. Lillian has a YouTube page that is absolutely adorable and full of wisdom beyond her years: https://www.youtube.com/channel/UCRF4CvSqif8X4EW1Zquiw7w. She is on Instagram @lillycution. Marian Hailey-Moss is an animal activist and philanthropist who started her career in theater and film (she was in the 1970 feature, Lovers and Other Strangers, with Diane Keaton and Beatrice Arthur!) and now writes animal-friendly children’s books. Her nine reading books – all with vegan-animal protagonists — are on Amazon, and her new coloring book, Nala the Little Elephant, may be ordered from http://www.elephantopia.org, and proceeds will go to support a young African elephant whose mother was killed by poachers. 10% off on yummy granola & muesli: We opened the show to callers and offered holiday gifts. The one caller we had got a wonderful package from Michele’s Granola. They’re a small, ethical, wind-powered vegan company, all non-GMO, and every batch is handmade in small quantities. Their Toasted Muesli is to live for, and their fabulous (OMG, seriously!) granola flavors are Original, Cinnamon Raisin, Cherry Chocolate, Pumpkin Spice, and Ginger Hemp. They’re offering us – that includes you! — a 10% discount when we order with the code MAINSTREET: http://www.michelesgranola.com. My Ayurvedic Chocolate Shake was mentioned for the second time this week and people are asking for the recipe so I’m including it here. 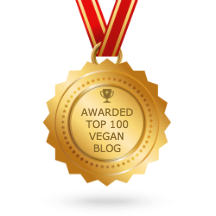 First, let me give credit to the creator of the original recipe, Talya Lutzer, author of The Ayurvedic Vegan Kitchen, where her “Indian Chocolate Shake” appears. This is a modification of that recipe. Blend. Expect a very different smoothie (spicy!) and even though it’s cold in temperature, it’s warming; I can have one of these for breakfast in the winter and feel really ready to go out in the cold. I’m really sorry, but I’m out of gift books. We also had copies of Nala the Little Elephant and many adult vegan books donated to us by the books’ publishers to give to callers to the show at this holiday time. Since we only had one caller and about a dozen books to give away, I offered that anyone who emailed me before December 25 would get a book. However, I gravely underestimated the response and I’ve heard from closer to a hundred people than a dozen, rendering me plum out of giveaway books. We’ll do this again next year — mark your calendar to listen live and call in. Blast from the past: The episode on which Talya Luther, author of The Ayurvedic Vegan Kitchen and original creator of the spicy chocolate shake, is http://www.unity.fm/episode/MainStreetVegan_061213.